Offer your customers the convenience of paying at the pump with a gas station credit card processing solution from The Transaction Group (TTG), and let us save you money on processing fees. We have many merchant account options including pay at the pump compatibility and traditional payment processing terminals to swipe customers’ cards at your convenience store/ food mart or service station register. If you own or manage a fuel and service station, multiple gas stations or truck stops, TTG can help set your business up with a merchant account fast and easy. If your petroleum business currently operates as ‘cash only’, it’s time to get set up with a credit card processing solution. Today, most people tend to carry less cash, preferring the ease of swiping a card for purchases. As fuel prices continue to climb and the cost for filling the gas tank is substantial, it is easier for you customers to pay with a debit or credit card. Paying by credit card makes it easier for business travelers and truck drivers to expense their fuel costs and earn rewards from their card providers. By accepting rewards cards and fleet cards you can boost sales and earn repeat business from your customers. TTG has several options for your business, delivering seamless and quick card processing. Our merchant accounts are compatible with most point of sale (POS) systems, and easily integrated with pay at the pump systems. Our merchant accounts are PCI DSS compliant, ensuring that your customers’ data will be secure and your business protected against credit card fraud. 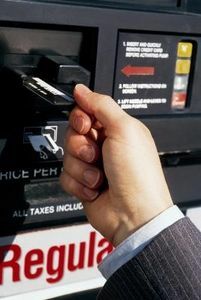 Already Have Credit Card Processing at your Gas Station? If you already have a merchant account and are shopping for a better rate, allow us to build a FREE RATE ANALYSIS and determine how we can save you as much as 20% on your current rates and fees. Send your most recent processing statement to sales@thetransactiongroup.net or fax it to us at 312-896-5628. We will get back to you in 1 business day! Ready to start your application? Click ‘Apply Now’. If you prefer to speak with someone directly, call us today. We look forward to serving you!